Puerto Rican street artist Bikismo just finished this amazing artwork for the RAW Project at Jose de Diego Middle School for Art Basel Miami. 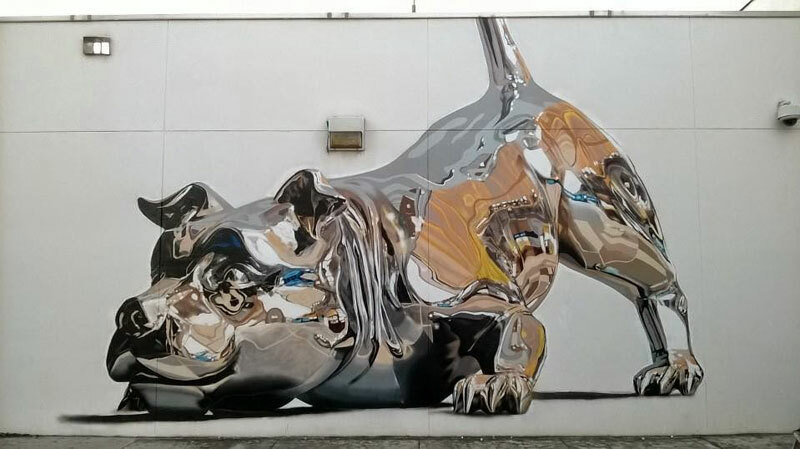 The chrome dog is 100% spray paint and took the talented artist about 4 days to complete. The distorted reflections of the surrounding environment are what impressed me most. What an awesome mural!